In an era where we are surrounded by creativity, Scotland’s very own creatives are also coming out in all shapes and form. A Hip Hop party brought to you by AOK EVENTS consisting of the best young Rappers in Scotland ranging from ages 17-22 is no doubt the right energy you need to liven your mood on any night. 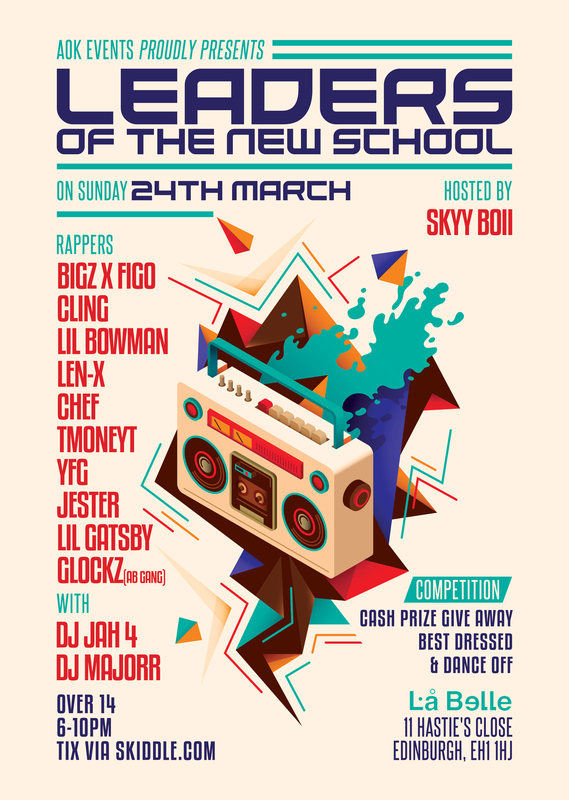 Come and witness the leaders of the new school.